Each year Sr. Rebecca Tayag, The Epiphany School’s Music Teacher, directs the Annual School Musical. 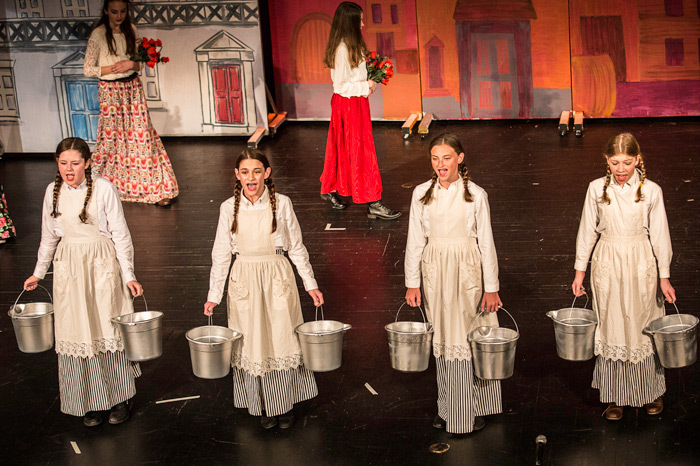 It is a school wide production open to all students from Grades 2 – 8. The younger students provided the chorus while the older ones tackle the leads. Students are not only performers, but involved in all aspects of the production from lighting to stage crew. The performances have been an Epiphany tradition for 29 years. 2019’s Musical, Disney’s, The Lion King, Jr.™, will be held on April 11th, 12th, and 13th. Ms. Christine Sahr, The Epiphany School Art Teacher, and the very talented students in her art classes exhibit their masterpieces each spring. Student work includes film, pottery, sketches, paintings and sculpture created with a wide variety of materials. 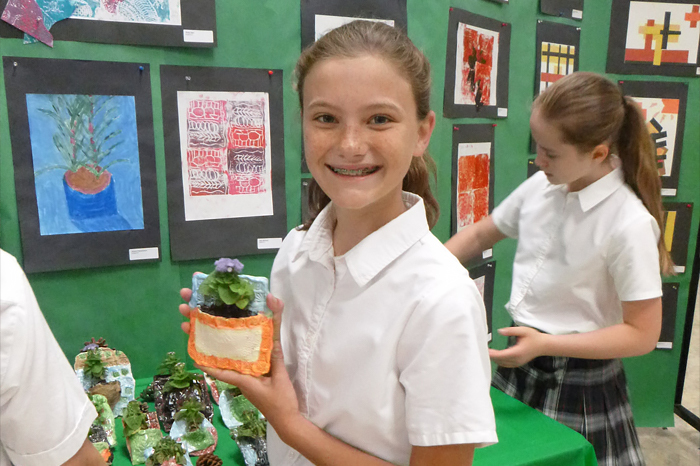 Our youngest students work under the guidance of Art Teacher Ms. Monica Murphy and contribute their own creations to the school wide Art Show. The 2019 Art Show will open on Thursday, May 30th. 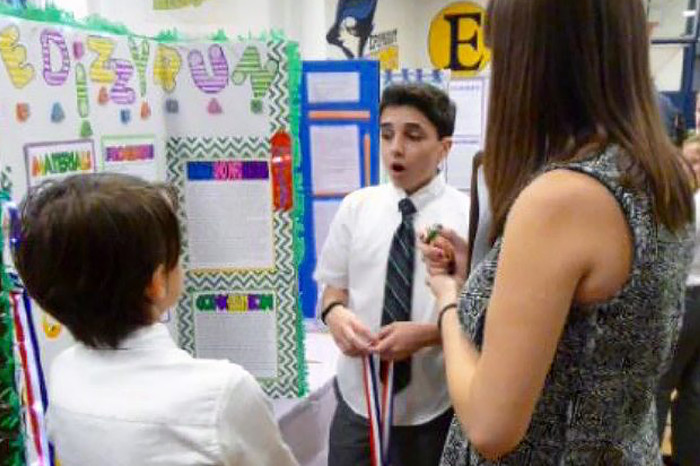 A Student Science Fair is held in the Upper School each Spring. This school year it will be on Wednesday, March 13, 2019. Our students formulate a hypothesis, do research, collect results, analyze data, and then display their conclusions for one science-filled day. Individuals and lab partners present their findings to their schoolmates, parents and teachers. There is a committee of judges headed by the Upper School Science teacher, Ms. Alison Onofrio, with support from her fellow Science teachers Ms. Jenise Anderson and Mr. Joseph Kenyon, who review each presentation. Prizes are awarded for excellence and innovation. The annual Archdiocesan speech contest centers around a particular topic annually (e.g: a famous New York Landmark). Students in Grades 6 – 8 write, memorize and present their speeches in their Language Arts classes. 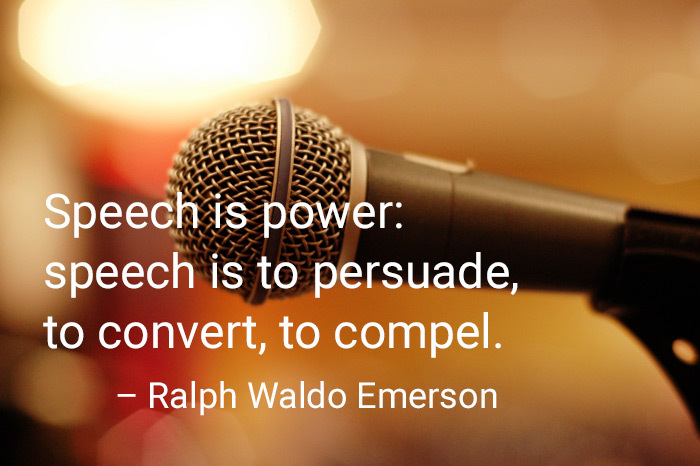 The two top scoring speeches from each class are invited to participate in the Epiphany School Speech Contest. The winners of our School Speech Contest go on to compete against teams from other Archdiocesan Catholic Schools in both district and regional competitions. 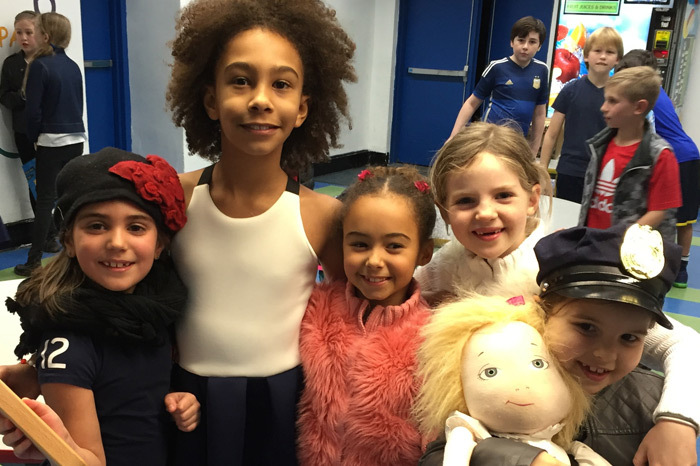 The Annual Epiphany School Talent show, held in the winter, is a showcase not a contest. Our students dance, sing, play musical instruments, perform magic tricks, demonstrate gymnastics, do stand-up routines and more. There are solo acts, group routines, duets, and trios performing on our Parish Hall stage. It is an opportunity for the students to share their abilities with an enthusiastic audience of parents, teachers and friends. It is all about our students having fun doing something they enjoy. This year’s Talent Show will be held on Friday, January 25, 2019.